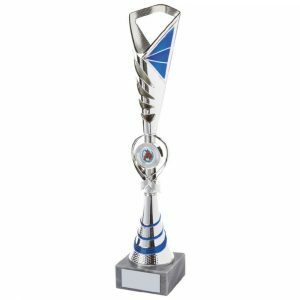 Whether you’re looking for a showstopper award for an all-round sporting champion or an oversize trophy to present to someone at an annual corporate or creative event, we’ve got an array of attention-grabbing items to suit your requirements. 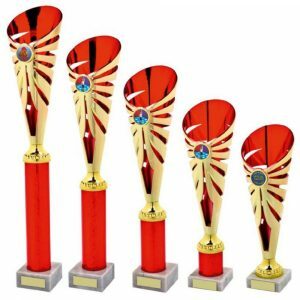 Our large awards will look spectacular on your trophy table and when raised aloft by their winners at your presentation ceremony. 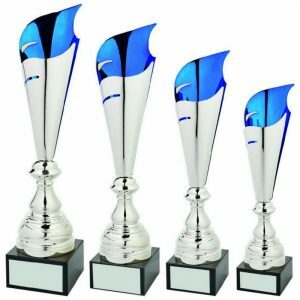 Magnificent mementos for high-achievers in the sporting, academic, cultural or business worlds, our large trophies are truly substantial pieces of silverware. They come in a range of styles and sizes, but whichever pieces you choose, they’re sure to be coveted by every competitor at your event. 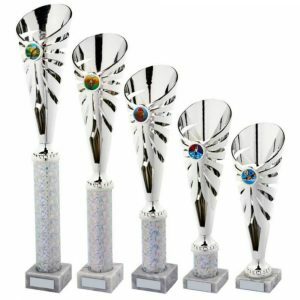 We stock silver and nickel-plated cups, elegant column trophies and stunning crystal celebration awards, so you can opt for something with contemporary elegance or with traditional class and flair. 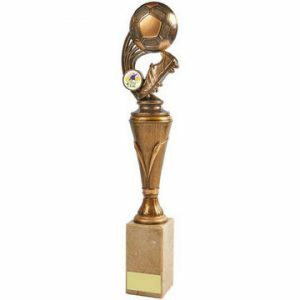 Many of our large awards feature heavy bases, making them sturdy and easy to display. 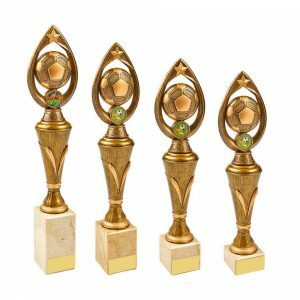 Your event or award category details can also be engraved on them, either on their base plaques or on the trophies themselves. 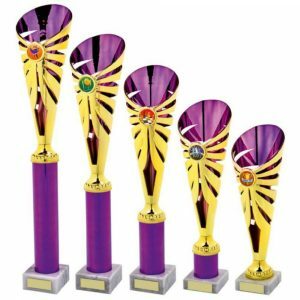 Our trophies are so generously-sized that you may even be able to add the names of the winners on them year after year, transforming your award into an enduring record of your event and its many champions. 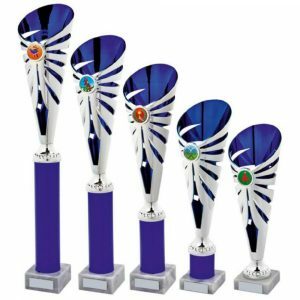 Order one of our large awards and you can inspire your competitors to perform at the highest level, turning your competition into a significant event. 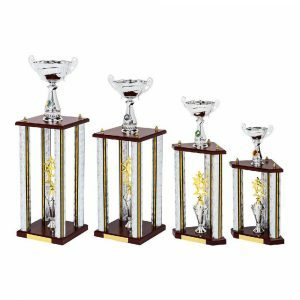 You won’t have to splash out in order to do it either, as our trophies are as affordable as they are aesthetically appealing. 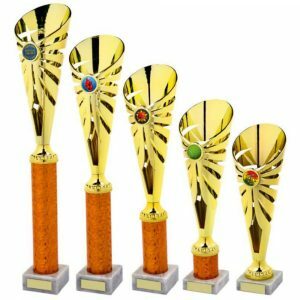 You’ll find large trophies and awards for target-smashing salespeople, top-scoring footballers, triumphant cricketers and even talented pets in our online store, and you can organise delivery with ease. 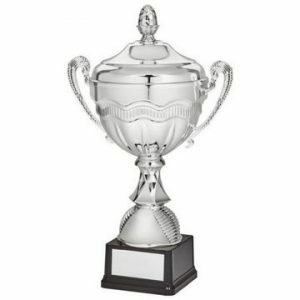 You can also contact us to discover more about any of the items in our range – just call 020 8722 0250 or email sales@challengetrophies.co.uk and we can provide you with all the information and help you need.